Here are two excellent fleece toque patterns, and they are free! This all got started because my man has a big head, his season tickets include the coldest of all seasons, and his team only makes flimsy knit beanies for winter gear. I decided to make him an awesome fleece toque in team colours, but I needed a really easy pattern since I don’t really sew. The first one is a toque/neck warmer/ear warmer all in one. As a beginner, the pattern was a little tricky, but the result was pretty impressive. It’s his favorite. This second pattern was really great. It makes a nice snug toque. 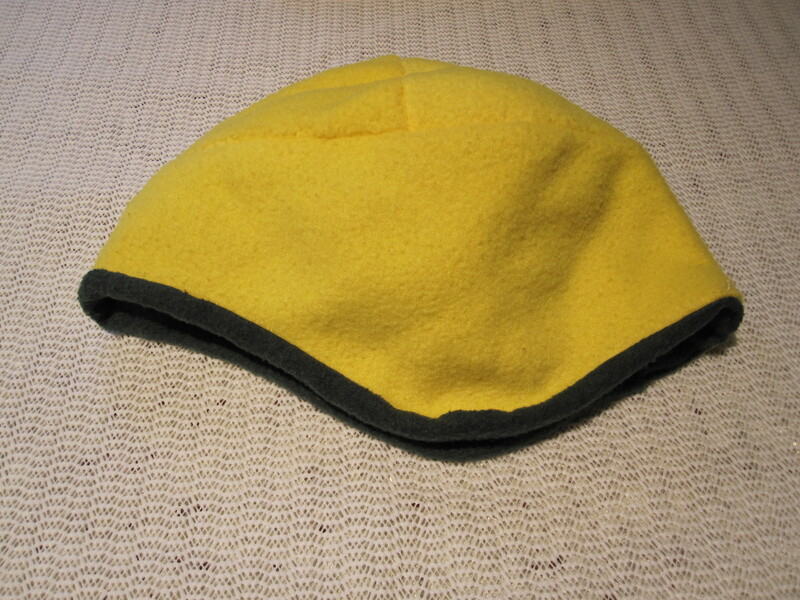 I made mine with a fleece lining to make it extra warm, so I had to adjust the pattern to fit a little bigger.